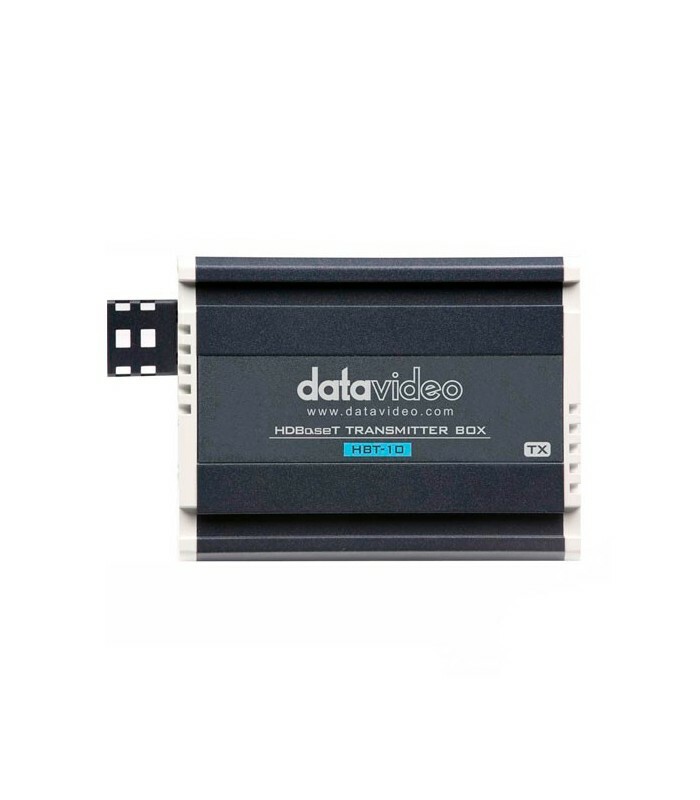 HDBaseT Transmitter Transmit up to 4K video from HBT-10 Transmitter to HBT-11 Receiver Extend video transmission up to 100m from HBT-10 Transmitter to HBT-11 Receiver Transmit video, audio, DVIP Ethernet control, RS-422/232 and POE from a single Cat.5e/6/6a/7 cable PoE Power supply 48V input from HBT-11 Receiver 12V 30W DC output at HBT-10 Transmitter. 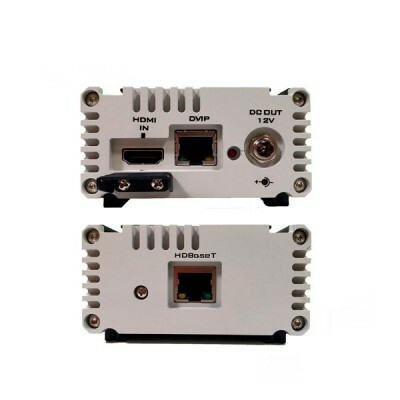 The HBT-10 HDBaseT transmitter and HBT-11 receiver provide a maximum transmission distance of 100 meters. 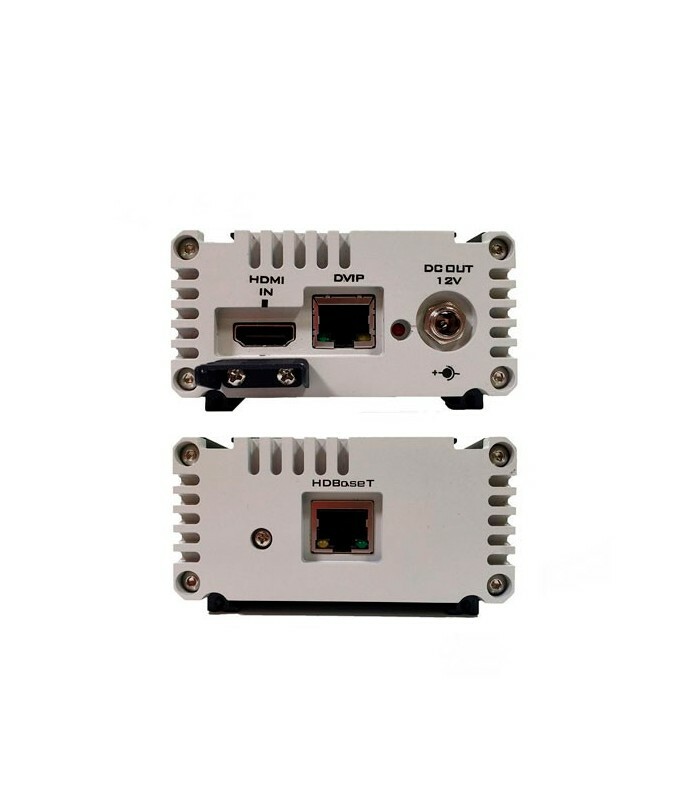 The pair supports video transmission up to 4K resolutions over Ethernet. 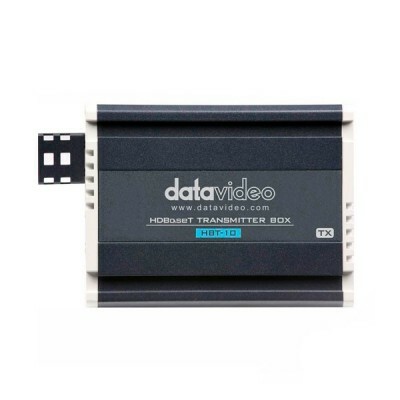 With a 48V power source connected to the HBT-11 HDBaseT receiver, the HBT-11 can also remotely power the transmitter using Power over Ethernet (PoE). 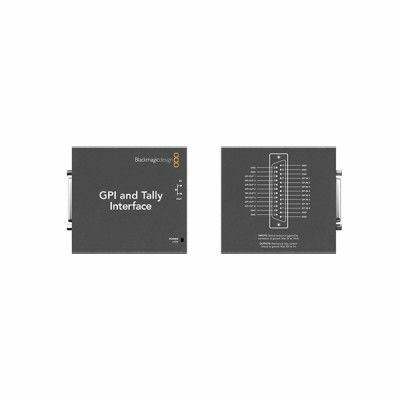 The HBT-10 transmitter can power external devices from the 12V/30W DC output. 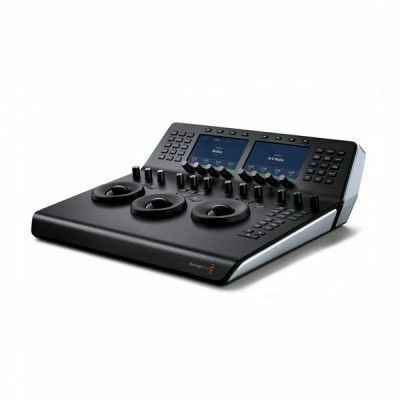 DVIP control can be achieved over the same Ethernet cable. 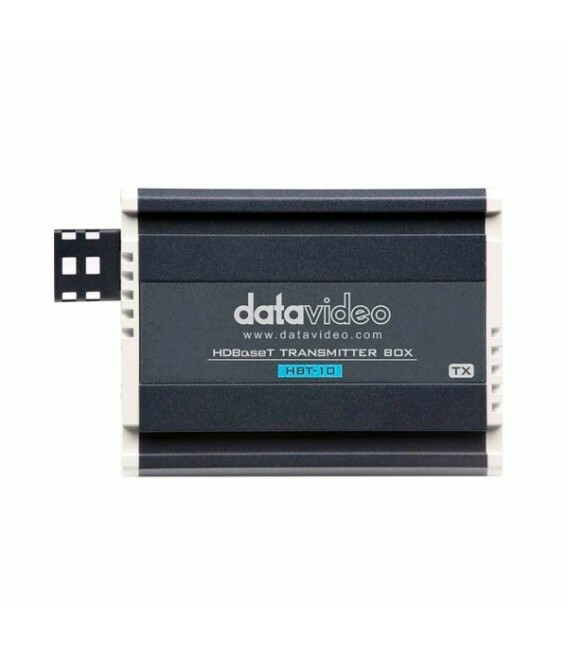 In other words, HDMI video, DVIP control signals and Power over Ethernet (PoE) can be transmitted between the transmitter and the receiver using a single Ethernet cable.